Boiled peanuts are more nutritious than raw or roasted peanuts. 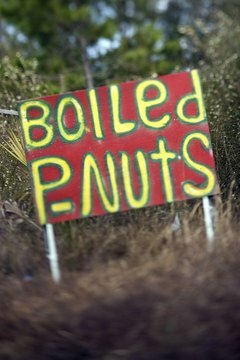 Southern food may have a reputation for being unhealthy, but Southern-style boiled peanuts are the most nutritious way to eat peanuts, according to American Chemical Society researchers who published a study in "The Journal of Agricultural and Food Chemistry" in 2007. They compared the nutrient content of boiled, oil-roasted, dry-roasted and raw peanuts and found that boiled peanuts had nearly four times more antioxidant isoflavones than the other kinds of peanuts. 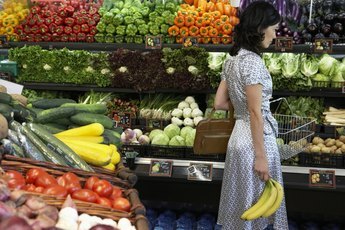 A regular intake of such isoflavones may reduce your risk of cancer, diabetes and heart disease. A 1/2-cup of boiled peanuts has 286 calories, with 12 grams of protein, no cholesterol and 2 grams of natural sugar. If you have a long wait between lunch and dinner, boiled peanuts can make a nutritious snack that keeps you energized, feeds your brain and muscles and helps to hold you over until your next meal. They also have 8 grams of fiber, helping you to feel satisfied. Boiled peanuts, a rich source of the antioxidant vitamin E, provide one-fourth of your recommended daily intake in a 1/2-cup serving. They also have a wealth of B-complex vitamins, which are crucial for the growth and development of your muscles and organs. B vitamins help your body form red blood cells and folic acid, or folate, which can help prevent some birth defects. Each 1/2-cup serving of boiled peanuts has one-fifth of your daily requirement for thiamine and one-sixth of your folate intake. It gives you 10 to 20 percent of your daily requirement for vitamin B-6 and niacin. A 1/2-cup serving of boiled peanuts provides 30 percent of the magnesium you need each day and 25 percent of your daily requirement of phosphorus. Both of these minerals benefit your bones and teeth. Magnesium helps ensure proper nerve function and muscle contraction, while phosphorus helps your body convert food into energy. Boiled peanuts also contain one-fifth of your recommended daily intake of zinc, a mineral that has antioxidant properties and promotes wound healing. Although 1/2 cup of boiled peanuts has 20 grams of fat, less than 3 of those grams are saturated fat. The rest of the fat comes from monounsaturated and polyunsaturated fats. The Institute of Medicine recommends getting at least 12 grams of healthy fatty acids daily, and boiled peanuts provide 16 grams in a 1/2-cup serving. The sodium content of boiled peanuts is a drawback. A 1/2-cup serving has 676 milligrams of the mineral. The Institute of Medicine recommends taking in no more than 2,300 milligrams of sodium per day, so eating boiled peanuts along with other salty foods could cause you to exceed your limit. 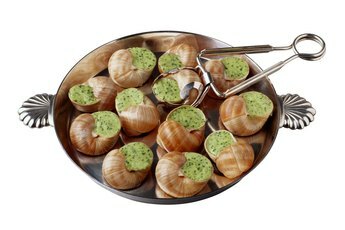 What Are the Advantages & Disadvantages of Eating Fats? Are Almonds Healthy to Eat? 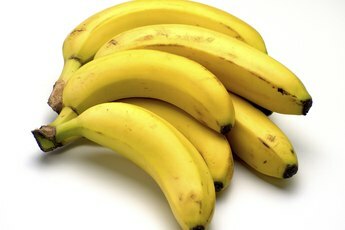 Is One Banana a Day Good for You? 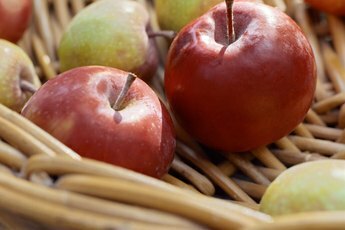 Are Apples with Peanut Butter Healthy?